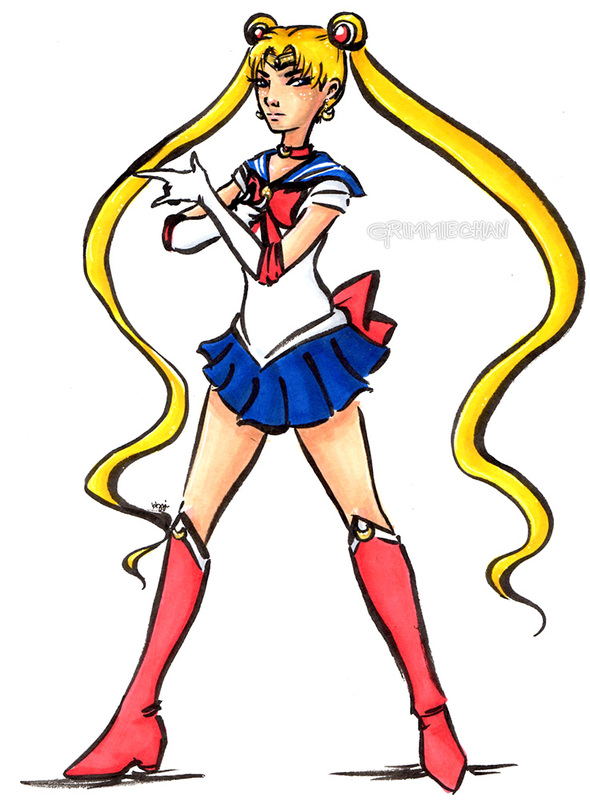 A byproduct of binge watching Sailor moon is ultimately drawing fanart from it. Usagi plants herself in your brain, and you think about her transformations and her love for Mamoru and little chibi Usa. She wouldn’t leave my brain. I figured if I drew her, then perhaps I’d be free of her. I haven’t finished the series, so… I am not free of her. I thought this style was fun. Really different, but interesting.